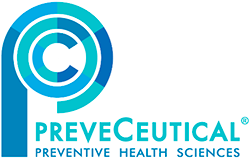 Health sciences company PreveCeutical Medical Inc. (CSE: PREV) (OTCQB: PRVCF) (FSE: 18H) this morning offered an update on its scorpion venom-derived peptide research and development program, which consists of identifying, extracting and sequencing peptides and proteins isolated from Caribbean blue scorpion venom. Per the update, the program is progressing on schedule through the first of its three distinct phases. As previously noted, PreveCeutical has successfully separated several target scorpion venom-derived peptides and proteins using both one-dimensional gel electrophoresis (“1DE”) and two-dimensional gel electrophoresis (“2DE”). Next, the company’s research team aims to sequence the extracted peptides and proteins in order to determine their respective amino acid fingerprints, progressing toward the ultimate goal of enabling the creation of Nature Identical™ peptides.